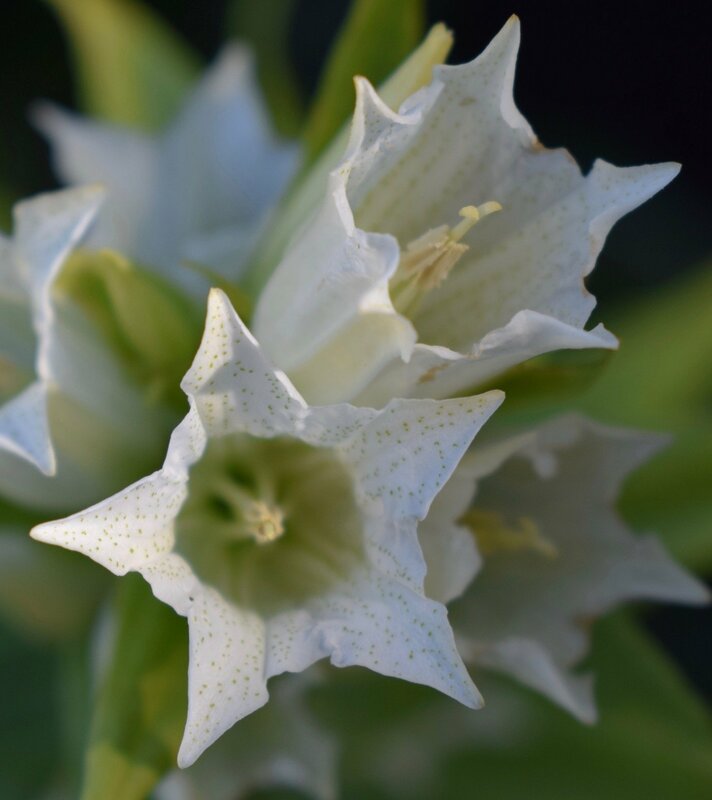 This is the white form of the Willow Gentian, Gentiana asclepiadea alba. 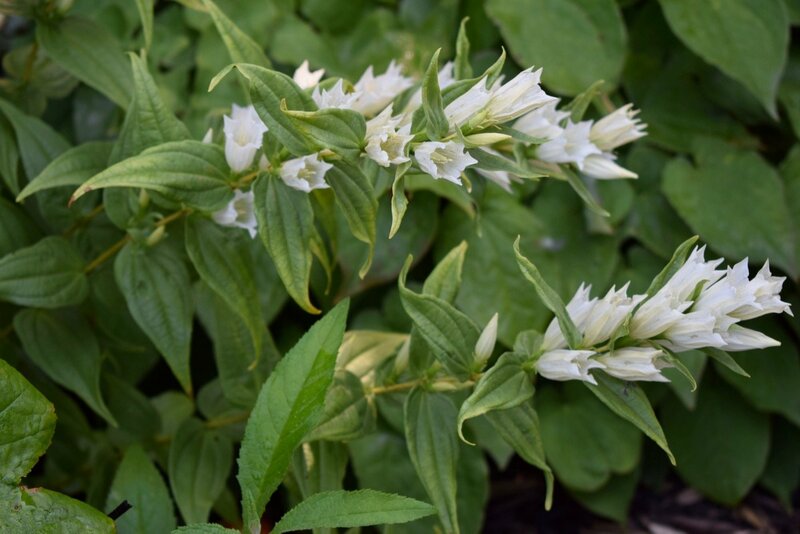 It is a choice, slow growing and long-lived and reliable plant for shade or part shade. Its natural blue-flowered form is native to central and Eastern Europe, where it grows in light forests. They like a good organic soil that does not get too dry. Mine is quite happy here growing in a shady spot at the foot of a down-pipe from the green-roof. You can see how its narrow pointed leaves and arching stems its visual resemblance to willow. 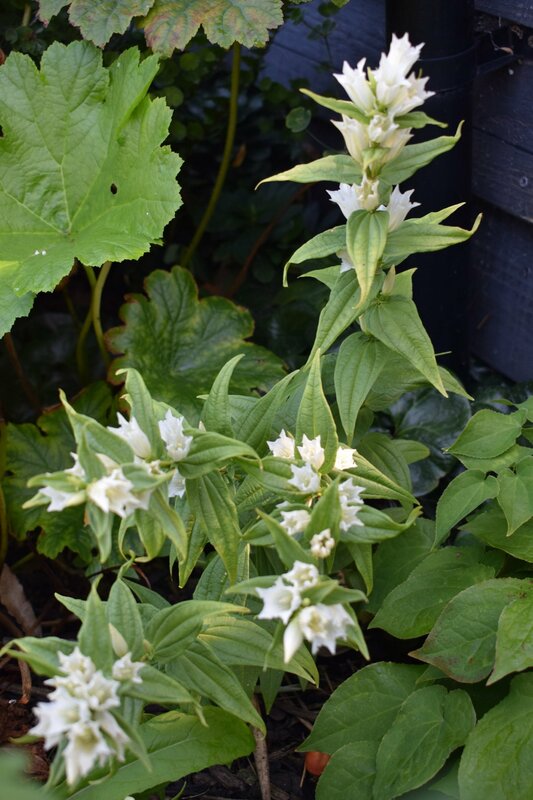 It is unusual to find a shade loving plant that flowers so late in the year (August/September in the UK), which makes this a particularly valuable plant for the shade gardener. Unfortunately it is quite difficult to find, even online. 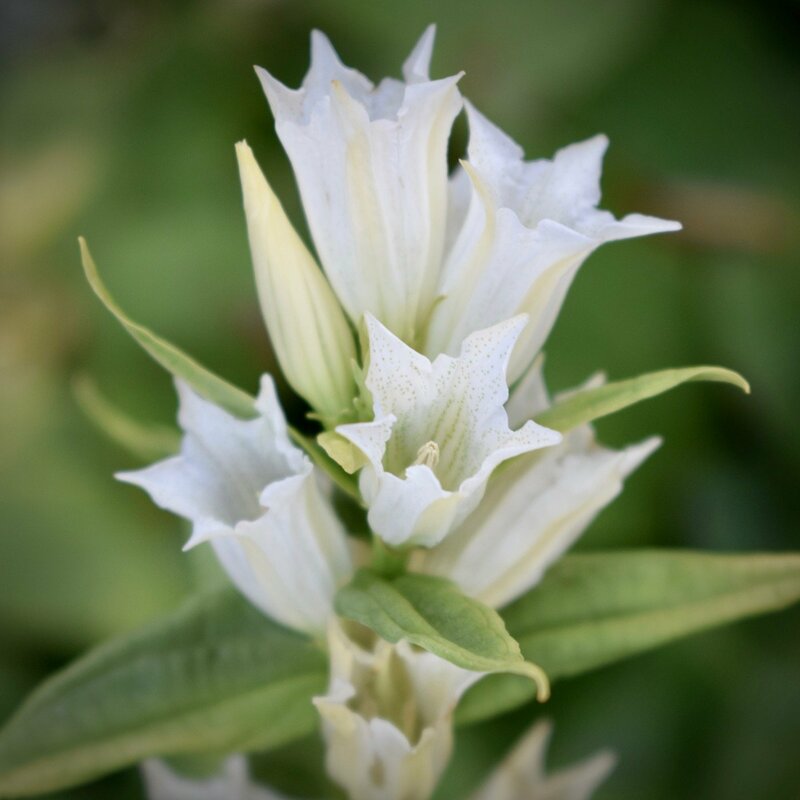 I purchased mine from Beth Chatto Gardens, who still list it online although it is often out of stock – partly a result of its popularity, but also because it is not quick to produce. My plant is now three years old, but is getting stronger and has more shoots every year. 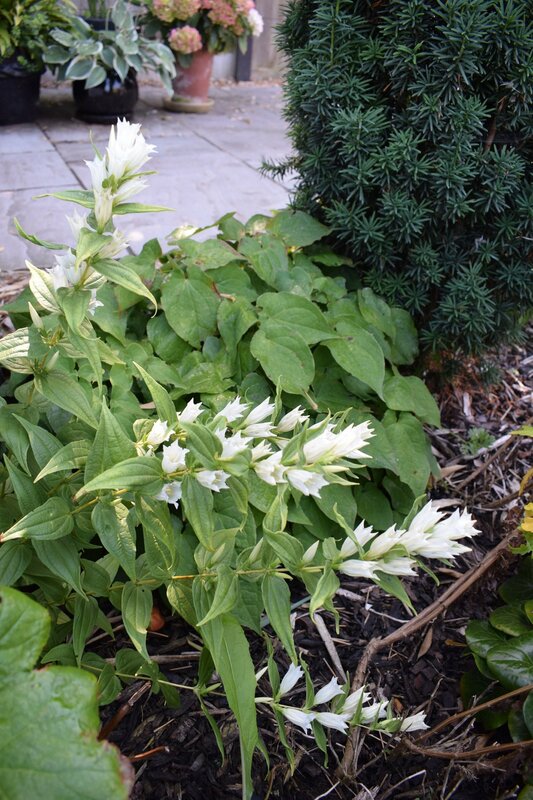 Currently the stems are 2ft (60cm) long, but in a couple of years the whole plant will grow to 3ft. The flowers are formed in whorls around the stem, with plenty of buds at each leaf axil. 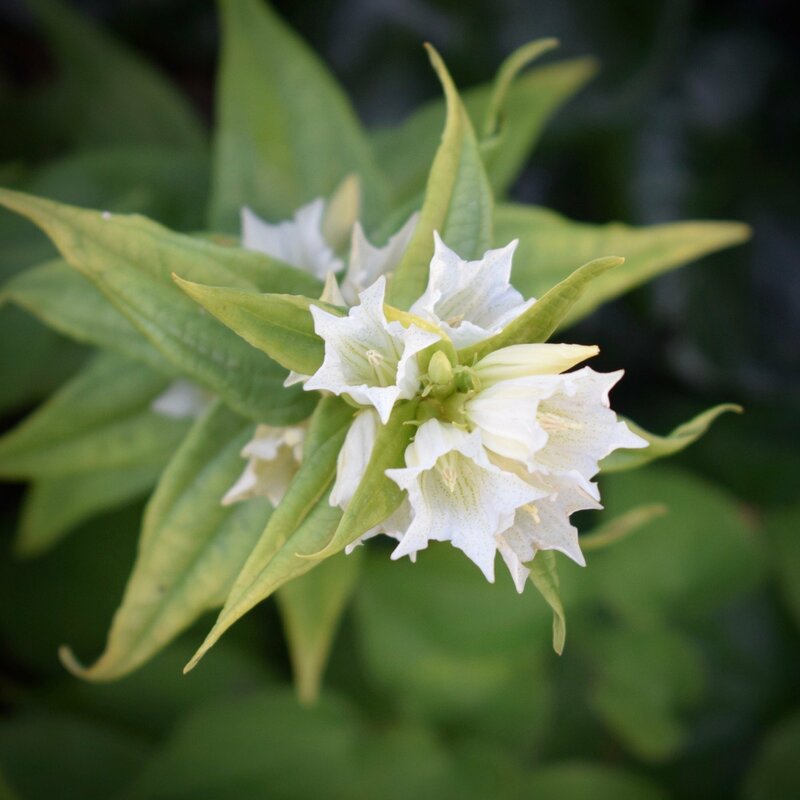 Each one is a clear, papery, 5-pointed, starry bell with hints of lime striping down the back of each petal. Inside, tiny green dots speckle the throat, guiding bees to the nectar within. Nice photos of an interesting plant!